It might look like simple to scratch some turntables and bounce your head to the beat of the music, but there is actually an art to becoming a good disc jockey. It’s true that most of what makes a good DJ is pure talent, but it’s also useful to have high-quality equipment to back you up. 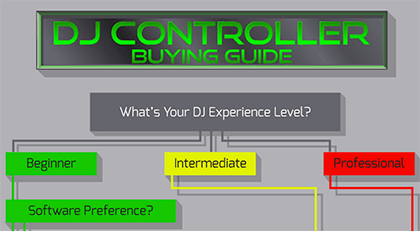 How do you know where to start if you’re just starting to get into the DJ world? IDJNow has plenty of tips and options to help everyone, from beginners to professionals. When you’re just starting out on your DJ career, you need to narrow down your preferences. This means figuring out the type of software best suited to your style. Not every controller is compatible with every type of software, so you need to choose electronics suited to your preferences. Intermediate DJs can start focusing on number of channels and built-in screens. Professional-grade equipment is bound to be more expensive, but also more suited to tailoring to the nuances of your DJ style. Check out the infographic below to learn more about the various offerings available at IDJNow for whatever your skill level may be. Is it Worth Getting Specialist Insurance for Your iPhone?